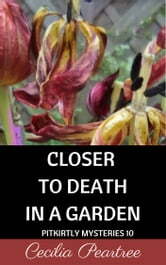 Closer to Death in a Garden is the tenth novel in the Pitkirtly Mystery series of stories set in a fictitious small town in Fife. 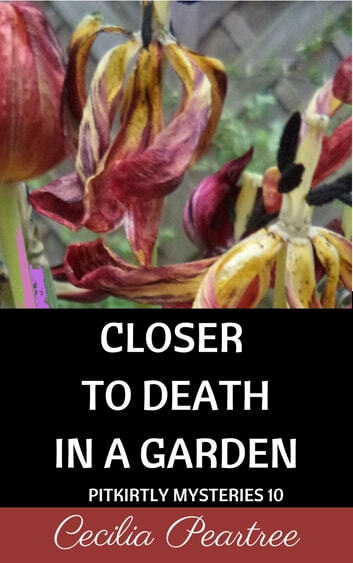 Jemima's and Dave's visit to a garden centre is cut unexpectedly short, while Jock and Amaryllis both make the same grim discovery at the same time from different directions. Alpacas get in the way, and Christopher and his friends turn to a local artist and to the internet to fill in the parts the police don't seem to be able to reach. Two mysterious men cause trouble in town and past misdeeds come back to haunt people.